An autozilla reader sent us this photo of a Jaguar and we’re stumped. On the read it says “Vanden Plas” but we have not found any info on this model. 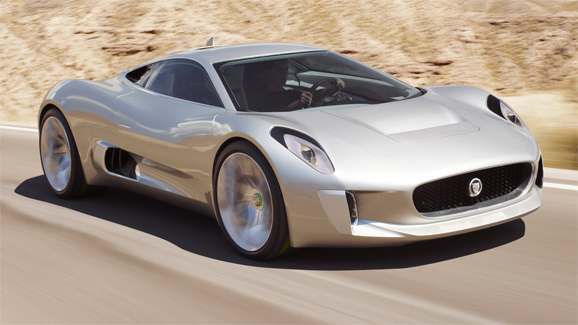 The new Jaguar X-C75 is a stunning supercar that packs a big punch. With an expected 800bhp, this bad boy will give those in the same class a real run for their money. Originally a concept car, it was so well received that Jaguar decided to put it into production. Lighter than a Ford Focus, it will do 0-100mph in less than 6-seconds. The word is, Jag will make about 250 of these in the next couple years. However, if you’re only reading this now, you probably already lost your chance to reserve one!